In response to the fire that ravaged the top of Notre-Dame Cathedral in Paris earlier this week, Ubisoft has donated €500,000 to aid in its restoration and made the Paris-based Assassin’s Creed Unity temporarily free. 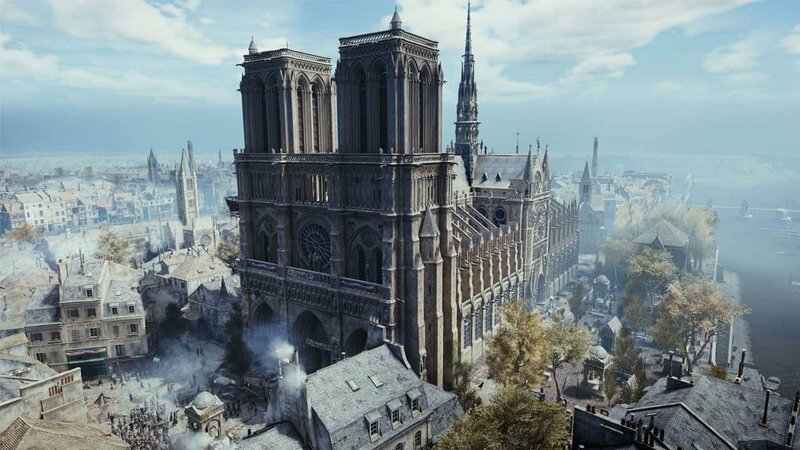 Millions of dollars have been coming in from around the world have been coming in to help repair the iconic cathedral, and the Paris-based game developer is next in line to help. They are donating what amounts to about $565,000 USD in support of the cathedral. For those who are unaware, a fire started on the roof of the 800-year old Notre-Dame cathedral in Paris last Monday evening. The fire spread across its attic’s top floor, and lead to the collapse of the building’s iconic spire. The outpouring of support to the cathedral has been great, and we at CGMagazine wish the workers the best in restoring this cultural touchstone.